Sarah Hickey is a passionate marking professional with over 15 years of education and experience in consumer insights and brand strategy. Sarah started her career at Procter & Gamble enhancing consumer understanding for global hair color. She spent the last eight years at Tyson Foods elevating iconic brands such as Jimmy Dean and Ball Park with creative strategy development and fostering new brands through applied innovation techniques. 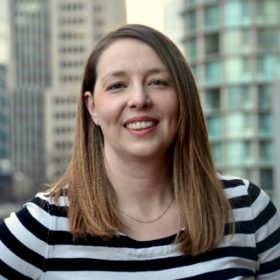 Now Sarah is taking on new challenges at Quicken Loans leading Research & Strategy within the financial technology space. Sarah received her bachelors degree at Michigan State University and her MBA from the University of Georgia. She is enthusiastic about food, home design and sharing her industry experience with the entrepreneurs for Endeavor Detroit.